What is GoodSearch and how can you help Rachael's Gift by simply searching the internet? GoodSearch is an organization that allows you to raise money for your charity, simply by searching the internet for things you normally would every day. The site is powered by Yahoo!, so you will get high-quality search results. 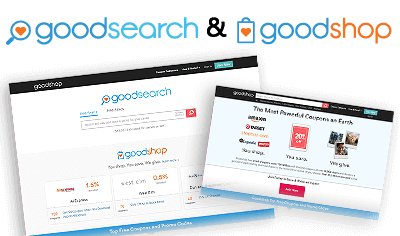 How does GoodSearch and GoodShop work? Simply go to www.goodsearch.com and select Rachaels Gift as who you would like to help. Then create an account. That's it! Also, by using www.goodshop.com to go to every day sites that you purchase from, a percentage of your purchase will get donated directly to Rachael's Gift. Next, click through to our partner retailers and start shopping! That's it -- you can help Rachael's Gift raise money just by using GoodSearch and Goodshop. Things to keep in my mind about your internet searches with GoodSearch. Image and video searches, URL's (i.e., search terms ending in .com, .org, .net, .edu), well known site such as HotMail, ESPN, Facebook, GMail, etc., stock quotes, word definitions, and any searches generated from fraudulent use of the site. For more information about GoodSearch, visit goodsearch.com. We thank you for your support of Rachael's Gift. Your help is truly appreciated in helping us raise money for the ongoing support of medical research and education of mitochondrial disease and its fatal presentations. 100% of your donations are used to fund mitochondrial research by umdf.org.